Let the fan made Chris Evan Captain America movie posters begin! 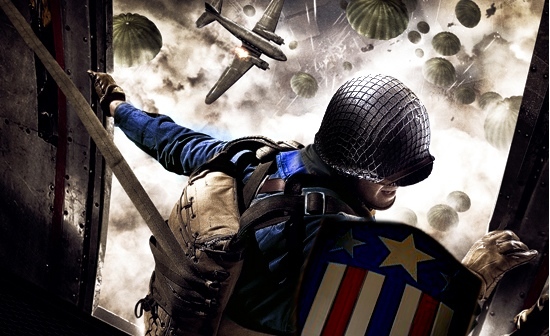 As you know Evans was recently cast in Marvel's The First Avenger: Captain America, and here is what the fans have created in honor of the casting. I'm starting to warm up a bit more to the idea of Evans in the role of Steve Rogers, I enjoyed what I saw of him in the Scott Pilgrim Vs. The World trailer, and I recently watched Sunshine again, which he was awesome in. I think he's got what it takes to make a great Captain America. As for the posters below, I think they're both pretty cool, but I like the first one more than I like the second. I'm really interested to see what Marvel and director Joe Johnston have in store for the character design.